Writing Lesson One: This is a powerpoint I made to introduce the writing process using technology. I found that I could keep the students' attention more when I could introduce the steps on my Activboard, rather than in a book. 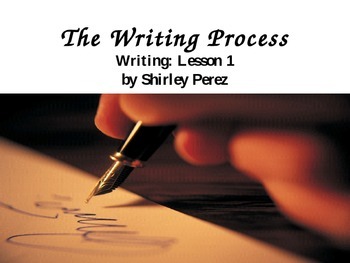 The powerpoint has eight slides introducing some of the reasons why people need to write, the 5 W's of the writing process, and the five step process: Prewriting, Drafting, Revising, Proofreading/ Editing and Publishing.